My fabulous birthday month is full of festivities. After Friday’s Wax(in’) Blue exhibit opening I look forward to celebrating some more with my NEW friends at our next Meet & Munch. 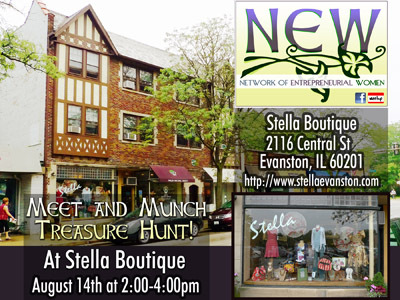 I got to pick the venues for August, and we’ll be hunting for treasure at Stella Boutique on Central Street. 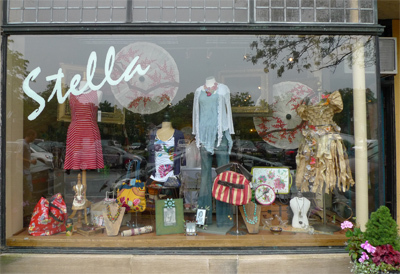 Stella Boutique is a chic and funky store filled an eclectic mix of clothing, jewelry, handbags, accessories, home accoutrements and gifts. You will be charmed by all the unique finds in a warm and relaxing atmosphere. A sneak peek at current treasures is at their Facebook page or on Stella’s web site. 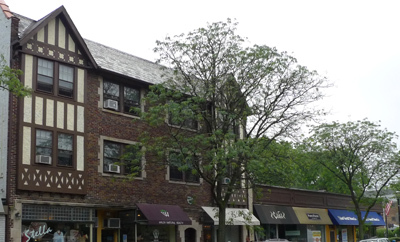 We’ll be meeting there, at 2116 Central St Evanston, IL 60201, on Wednesday, August 14 from 2 to 4 p.m. Since I share an August birthday with NEW co-founder Erica Thomas, I anticipate some present shopping. 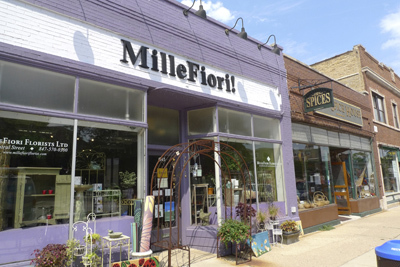 Central Street is a lovely Evanston corridor I don’t visit enough (because Main Street is so much fun!). The street is lined with other unique shops such as a Spice House, several bakeries (including one for pets! 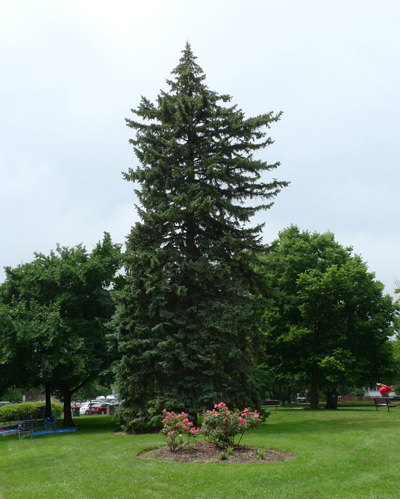 ), Walsh Natural Health, paper goods, a flower shop and home decor. Central Street is also the home of the Mitchell Museum of the American Indian, which I should get to soon! Coin metered parking is available along the streets, and a freshly rehabbed credit card metered lot is located across the street from Stella via Stewart Avenue. The Central Street Evanston Metra station is two (walkable) blocks East of Stella. Stella celebrated its 10 year anniversary in March 2012. I’m excited to see the goodies owner Rachel has collected. You can RSVP on Facebook or via Meetup. Can’t make this week’s event? RSVP for our Wine Women & Wellness Progressive Networking Dinner at Symphony’s Cafe in Evanston August 29.